Democracy in Deficit is one of the early comprehensive attempts to apply the basic principles of public-choice analysis to macroeconomic theory and policy. Democracy in Deficit opened the door for much of the current work on political business cycles and the incorporation of public-choice considerations into macroeconomic theory. Even in the area of monetarism, Buchanan’s landmark work has greatly influenced the sway of contemporary theorists away from the nearly universally held belief of Keynesian theory. 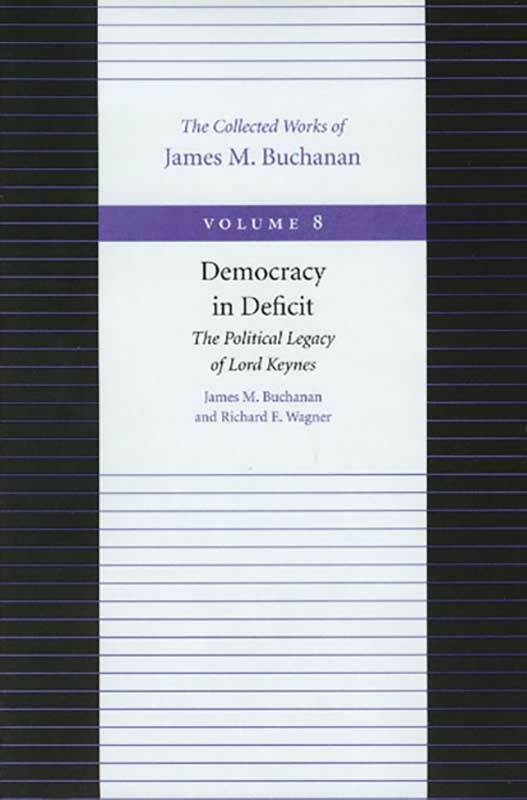 Democracy in Deficit contributes greatly to Buchanan’s lifelong fiscal and monetary rules to guide long-term policy in macroeconomics. The book serves to bolster Buchanan’s central beliefs in the necessity of a balanced-budget amendment to the U.S. Constitution and in monetary rules rather than central bank discretion. The book is co-authored with Richard Wagner, a respected colleague of Buchanan, whom Buchanan recognized as helping to keep the book free of polemics and on target with its central purpose of applying the elementary theory of public choice.